serene, NATURAL BEAUTY. MAJESTIC MOUNTAIN VIEWS. FARM-TO-TABLE RECEPTIONS. Welcome to a one-of-a-kind wedding venue in the Hood River Valley—the Orchard Meadow at Mt. View Orchards in Parkdale, OR. 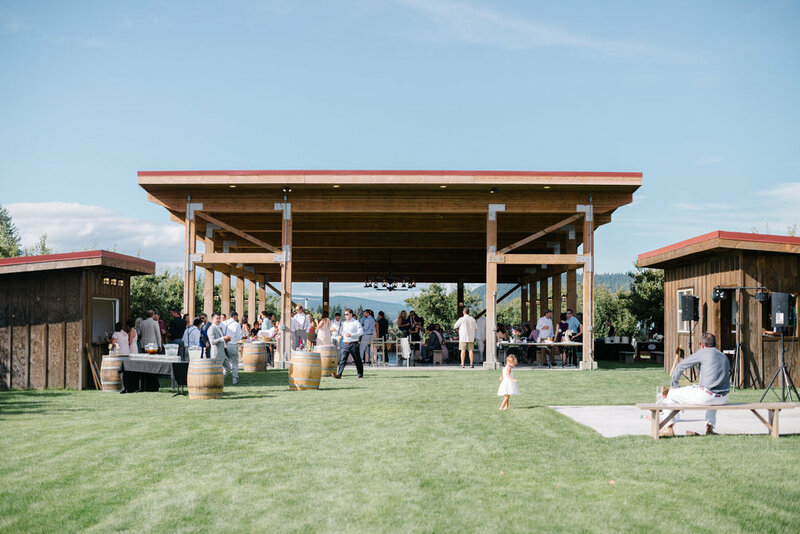 Framed by a stunning view of Mount Hood and surrounded by beautiful apple and pear trees, fields of flowers, the Orchard Meadow is a truly magnificent site for your big day. The venue features a groomed lawn and expansive pavilion with artistic lighting, which accommodate up to 160 guests. We also offer seating and convenient spaces for catering and bar service. Your caterers will love the option of including fresh fruit from the Mt. View Orchards fruit stand in your reception menu. The fruit stand offers over a hundred varieties of pears, apples, peaches, and cherries, all raised on the farm. For your bar menu, we also offer fresh apple cider and our own custom-label Golden Row hard cider, both crafted from our apples right here at Mt. View Orchard’s cidery. Scheduling a tour of the venue couldn’t be easier. Simply fill out the contact form and we will respond to you promptly to arrange a visit. We work with the best wedding and event vendors in the region, and will gladly refer you to our favorite day of coordinators, photographers, videographers, caterers, florists, bakers, and DJs. Mt. View Orchards welcomes all couples and event celebrations. We desire to make all guests feel comfortable in an environment of natural simplicity and elegance. Well-lit, clean, air-conditioned/heated, luxury bathroom trailer w/ flushing toilets and clean water sinks. Epic panoramas of Mt. Hood and the Hood River Valley—a photographer’s dream!